All's in order. 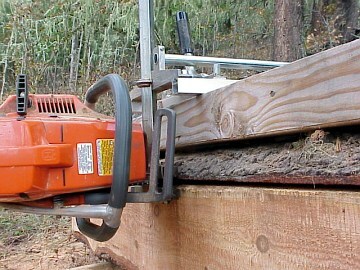 The guide and jig are holding the saw square to the first cut. This image illustrates the rather thick kerf left by the chain saw. Much less efficient for cutting but much less expensive than a band saw.